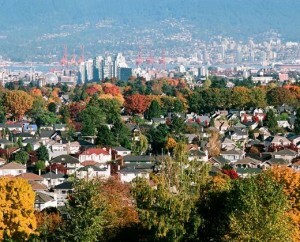 October homes sales in Metro Vancouver were 15% above the 10-year October sales average. “The federal government’s announcement of plans to tighten mortgage requirements for the seventh time in the last eight years also helped spur activity in the short term . Many buyers are trying to enter the market before the changes are in place” – REBGV President Jill Oudil. The benchmark price for detached properties in October 2017 was $1,609,600. This represents a 4% increase from a year ago October 2016. The average condo landed at a benchmark price of $642,000. This represents a 23% gain from a year ago October 2016. The benchmark price for townhomes was $802,400. This represents an 18% increase compared to this time last year. Nov 2, 2017 News Release – The Real Estate Board of Greater Vancouver (REBGV) reports that residential property sales in the region totalled 3,022 in October 2017, a 35.3 per cent increase from the 2,233 sales recorded in October 2016, and an increase of 7.1 per cent compared to September 2017 when 2,821 homes sold.